“The Teflon Don” was John Gotti’s nickname for many years because it appeared that no charges would stick. In 1972 Manny Gambino, the nephew of Carlo Gambino, was kidnapped and murdered. The FBI arrested two of the kidnappers while Gambino put a contract out on the third, James McBratney. On 18 March 1980 Gotti’s neighbour, John Favara, accidentally killed Gotti’s 12-year-old son Frank, running him over. On 28 July 1980, Favara was kidnapped as he left work. He was chainsawed to death and then his body was put in a car that was then crushed. An old-style gangster, Gotti became the head of the Gambino crime family in 1985 after Aniello Dellacroce and Paul Castellano were indicted. On 2 December Dellacroce died and a fortnight later Castellano and an aide were murdered outside a Manhattan steak house. Gotti was the new boss. The FBI bugged his headquarters the Ravenite Social Club at 247 Mulberry Street. On 11 December 1990 they staged a raid and arrested Gotti, Salvatore “Sammy The Bull” Gravano, Frank Locascio and Thomas Gambino. Gotti was charged with 13 counts of murder (including Paul Castellano), conspiracy to commit murder, loansharking, racketeering, obstruction of justice, illegal gambling and tax evasion. 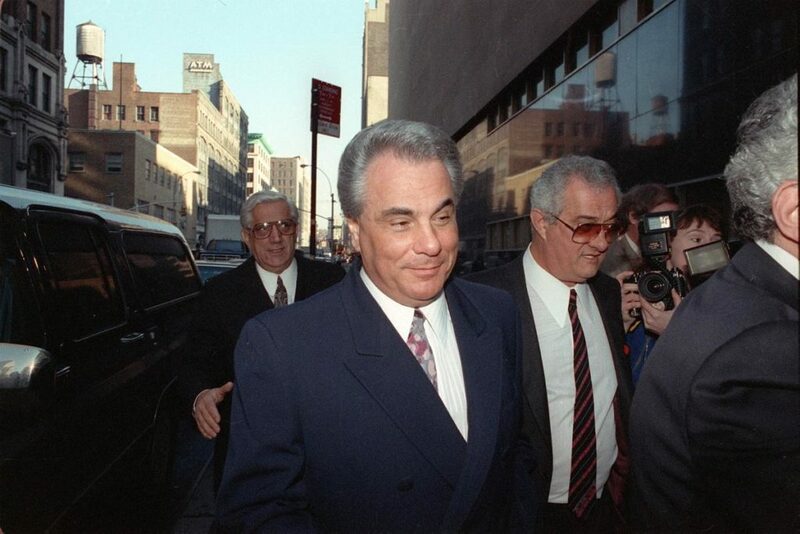 On 2 April 1992, after 13 hours of deliberation, the jury found Gotti and LoCascio guilty on all 13 charges. On 23 June 1992 Gotti was sentenced to life imprisonment without possibility of parole. John Gotti died of throat cancer at 12.45pm on 10 June 2002 at the United States Medical Center for Federal Prisoners in Springfield, Missouri.